A rustic look, just right for casual, dressed-down days. 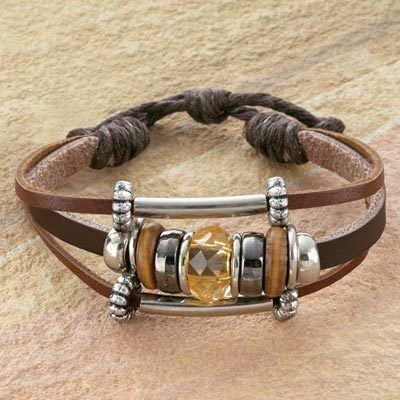 Amber crystal, wood and silver-tone beads decorate three strands of rugged, natural leather of our beaded leather bracelet. Adjustable brown cord closure. One size fits most. Approx. 1¼"w. Hurry! Quantities are limited!